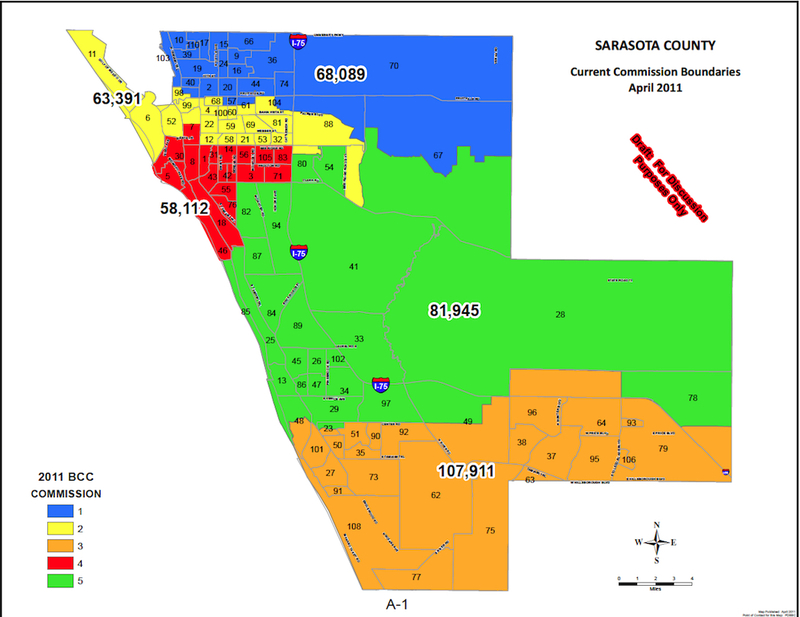 Before the Sarasota County Commission potentially launches an initiative to redraw its district boundaries, board members this week asked the Office of the County Attorney and County Administrator Jonathan Lewis to provide the answers to a number of questions. Among the issues raised by Commissioner Nancy Detert’s proposal for redistricting, commissioners want to know what data legally could be used for such a process. Commissioner Christian Ziegler noted, for example, that he believed the American Community Survey undertaken by the U.S. Census Bureau in 2015 provides an estimate of the county’s population. 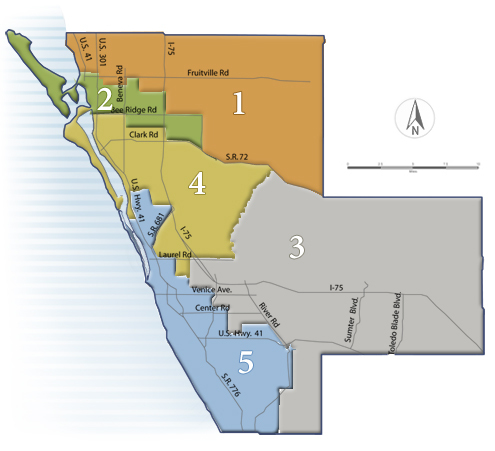 Additionally, Ziegler said during the board’s April 9 meeting, the commissioners will need to know the timeline they would have to follow with redistricting to enable Sarasota County Supervisor of Elections Ron Turner and his staff to comply with state regulations in preparing for the 2020 elections. The commissioners, by consensus, made the staff research a formal assignment. Lewis said he expected to have the information ready in May. The impetus for the discussion, as Detert noted in late February, is the November 2018 passage of a Sarasota County Charter amendment implementing a Single-Member District process. That calls for a voter to cast a ballot in the primary and general election just for a commission candidate in the district within which the voter and the candidate live. Previously, every registered county voter has been able to cast a ballot for a candidate in each commission contest in a general election. 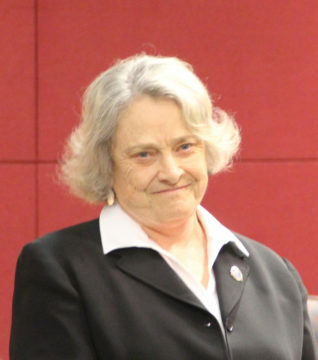 She fears, she said, that if the board does not undertake redistricting prior to the November 2020 General Election, losers in County Commission races could bring suit, contending that the districts had population imbalances. She had spoken with Supervisor of Elections Turner, Detert added. “He’s totally willing to be as cooperative as he possibly can.” In fact, she noted, he had offered to make one of his staff available to assist the board in redrawing district lines. Software is available to help the board members undertake the modification of the district boundaries themselves, she noted. Additionally, Detert said, “I think we all need to work on restoring the average person’s faith in their own government. 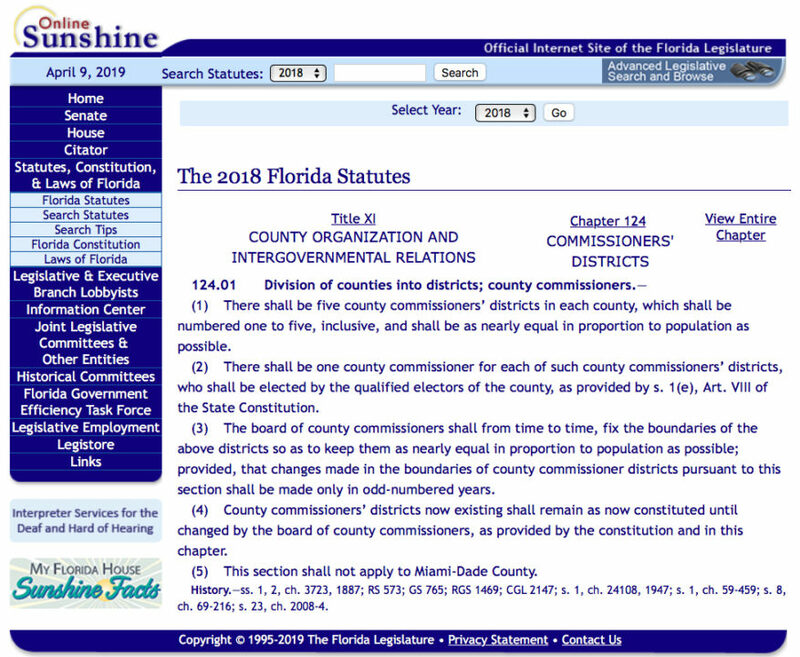 Detert asked County Attorney Frederick “Rick” Elbrecht to read the appropriate section of the Florida Constitution that covers local government redistricting. When Ziegler asked Detert what data she had relied on to determine the districts are out of balance, she replied that she had asked the Supervisor of Elections Office for the voter registration figures for the districts. However, she said she believed those numbers also reflect the population of each district. County Commission District 1: 56,198. County Commission District 2: 60,695. County Commission District 3: 64,574. County Commission District 4: 63,295. County Commission District 5: 73,007. During the discussion, Detert referenced population figures Lewis had provided for a recent community meeting, illustrating the growth of the city of North Port. When she asked Lewis about those, he explained that they were provided by the University of Florida’s Bureau of Economic and Business Research (BEBR). However, he added, the BEBR numbers are not sufficiently detailed to help staff determine district population counts. A document the BEBR released in April 2018 estimated the Sarasota County population at 417,442, with a projection that it could climb as high as 447,600 by 2020 — or even drop to 413,200. County Attorney Elbrecht pointed out that the state statute calls for use of population numbers, not voter registration figures. Ziegler also asked how long the redistricting process would take. Chair Hines asked how long a person would have to reside in a district before the person legally could seek a County Commission seat. After reviewing the County Charter, Elbrecht said that Section 6.7 requires an individual to have been a resident of the district six months before qualifying to run for the County Commission district seat. “There’s no guarantee that we have to work around [a commissioner’s] house,” Detert said. Hines agreed with Ziegler again. “The assumption is the [population] numbers are out of whack,” Hines said. However, he continued, that determination needs to be made before the commission embarks on redistricting. 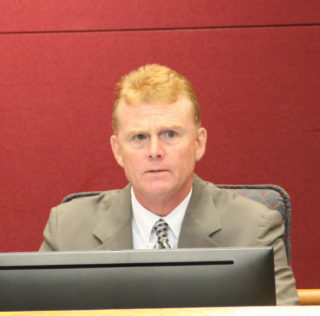 “It seems it would be hard to go too much further,” County Administrator Lewis added, without knowing the legal precedents regarding data that could be used for redistricting between the decennial Census counts and the timeline that would have to be followed. “I think you got enough to get started,” Hines told Lewis.